Connor McDavid scored four times and added an assist as the Edmonton Oilers knocked off the top team in the NHL, defeating the Tampa Bay Lightning 6-2 on Monday. 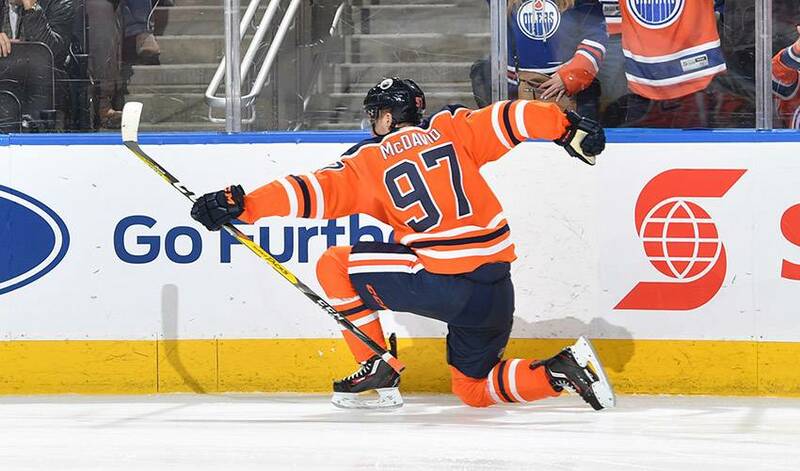 EDMONTON — Connor McDavid scored four times and added an assist as the Edmonton Oilers knocked off the top team in the NHL, defeating the Tampa Bay Lightning 6-2 on Monday. Leon Draisaitl and Iiro Pakarinen also scored for the Oilers (23-24-4), who have gone 5-1-1 in their last seven games. Alex Killorn and Yanni Gourde replied for the Lightning (36-14-3), who lost for just the third time during their eight-game road trip, which concluded in Edmonton. Tampa Bay tied the game up midway through the first period when Oilers defender Darnell Nurse was unable to clear a bouncing puck in front and Killorn was able send his eighth of the season past Edmonton goalie Cam Talbot. Early in the second, Draisaitl made a nice touch pass to send in McDavid, who put the puck up high from an improbable angle. The Oilers captain was awarded his fourth goal with six minutes left, as he was the last player to touch the puck before Lightning forward Chris Kunitz inadvertently put it into his own net. Edmonton embark on a three-game road trip, starting in Los Angeles on Wednesday. Tampa Bay returns home to face the Vancouver Canucks on Thursday. Notes: It was the first of two meetings between the two teams this season. Edmonton was the only team that Tampa Bay had yet to face this season.